Walter Culpepper, Son, M, S, W, 2, ---, GA/GA/GA. place from Spanish American War enlistment record. Walter Culpepper, Boarder, M, Oct-1877, 22, S, GA GA AL, Farm Laborer. Bee Culpepper, Head, M, Sep 1876 (23), S, AL/TX/AL, Day Laborer. Wood Co., TX: B. B. Culpepper and Sadie Smith, 11 Oct 1905, #4900. B B Culpepper is the father of an otherwise unidentified infant born 2 Oct 1911 in Wood Co., Texas. Bee Bee Culpepper, RFD 2, Peach, Upshur Co., Texas, age 45, born Sep 1873 (Registrant was unsure of exact date of birth), White, Farmer for self at RFD 2, Peach, Upshur Co., Texas; Nearest relative: Mrs. Sadie Culpepper, RFD 2, Peach, Upshur Co., Texas. Medium height, Stout build, Blue eyes, Brown hair, no disabilities. Registered 12 Sep 1918, Gilmer, Upshur Co., Texas. E-mail written 2003 to Lew Griffin from Dolores Gillespie, Clearwater, KS, e-mail address. Mrs. Culpepper final Services held Monday. Funeral services for Mrs. Sadie Culpepper, 80, were held at 10:00 a.m. Monday, July 31, in McCrary-Edwards-Cain Chapel with Rev. Jake Norris officiating. Burial was in Smyrna Cemetery. Mrs. Culpepper died Saturday, July 29, in Winnsboro Hospital. She was a longtime resident of Route One, Leesburg. She was born July 30, 1891, in Wood County to Mr. and Mrs. David Smith. She was married to Bee B. Culpepper, who died April 10, 1953. She was a member of the Apostolic Church of Jesus Christ. Obituary from unknown newspaper sent by Sadie's granddaughter, Margaret Coffman. Florence Culpepper, Boarder, F, May 1882, 18, S, GA/GA/GA. Edward Culpepper, 1 M20-30, 3 F0-5, 1 F20-30. John Culpepper, 15, M, Jones Co., GA.
Genealogical Society of Utah, compiler, Georgia Virtual Vault, Georgia Secretary of State, 2010. Cite as Death Certificates, Vital Records, Public Health, RG 26-5-95, Georgia Archives. W. Culpepper, 1 M0-5, 1 M20-30, 2 F0-5, 1 F5-10, 1 F20-30. Manders Hale, 61, F, Warren Co., GA.
Carrie Adams died 19 Aug 1920 in Heard Co., GA; Certificate # 23308-B. Find A Grave Memorial# 101943992. John Culpepper, 10, M, GA.
John Culpepper, 20, M, GA.
T Culpepper, 34, M, Wh, GA, Farmer. John Culpepper, Head, M, Aug 1857, 42, Sng, GA/GA/GA, Day Laborer. Emaline Culpepper, 2, F, Muscogee Co., GA.
Lucy Culpepper, 2, F, GA.
Lucy Culpepper, 12, F, GA.
Angeline Culpepper and Warren Howard on 20 Feb 1882 in Chattahoochee Co., GA. It appears William T.A.L. and Mariah Louisa Wall Culpepper moved from Chattahoochee County, Georgia to Phenix City, Alabama sometime after Sallie was born 16 MAY 1872 and before Frances Rowena 'Roey' was born on 14 AUG 1874. William T. A. L. is the name on his marriage license. I noticed it was reported as 'William Culpepper' on the 1850 and 1870 census and as 'WM' on the 1900 census - with the W and M being written so close that when it is translated to a typed version it is displayed as 'W M'. Also on the death index and where Mariah applied for his Confederate pension - of $1.50 - it is shown as 'W M'. Find A Grave Memorial# 57090163. My earliest memories include a special farm in Chilton County between Calera and Jemison and two special people, Claudia Belle Culpepper Weldon and Henry Clayton Weldon, Sr., my maternal grandparents. A family reunion in Clanton about ten years ago sparked an interest in family heritage. As we have returned to the Clanton area regularly, I have learned how truly special Chilton County and the Culpeppers are. They are my history. The Culpeppers originally came to America from England... through the Virginia/North Carolina coast, near Norfolk, Virginia. As... generations passed, the Culpeppers moved inland and south into Georgia and Alabama. 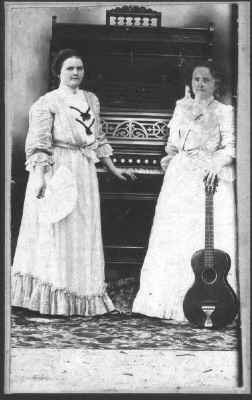 The story goes that Benjamin Franklin (B.F.) Culpepper and his wife, Nancy Howard came from Columbus, Georgia, through Russell and Coosa Counties to settle with their seven children in Chilton County in the early 1880s. They lost one child, Ella, an infant buried in Russell County. Mamie, the first child born in Chilton County, died at the age of ten presumably from a flu epidemic. Two more children were born in Chilton County. The boys learned farming from their father. 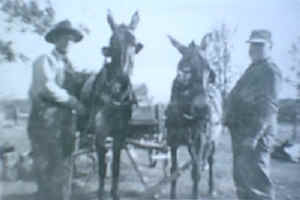 John and Eddie were professional farmers and organized the Chilton County "Farmer's Union". 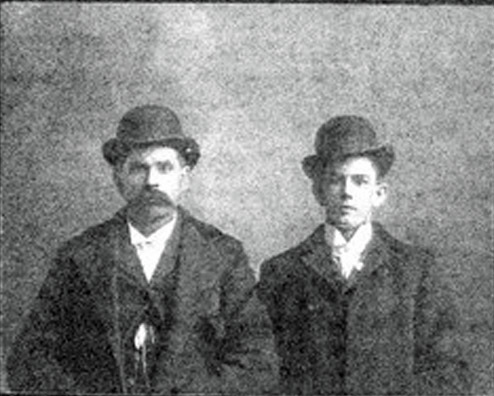 Frank and John married sisters, Anna and Cora Foshee. 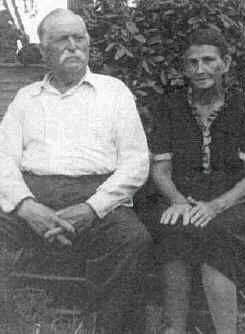 Frank and Anna raised livestock, honey bees, and fruit and nut trees. They gave some land to the community to build Highland school. The teacher, Etta Williams, boarded with them. Later this couple moved into town where he sold gasoline and kerosene for Standard Oil. They helped Cora raise her five young children after John died in October 1911 at age 40 from typhoid fever. Charlie, the youngest son, farmed until he moved his family to Danville, Virginia, to run a hosiery mill. When B.F. passed away in early fall of 1890, Nancy farmed the land and raised her younger children with the help of the older ones. Finally Nancy had to mortgage her land and later sold it to the Baker family. She and the girls worked in a textile mill for a few years. After they married, the girls were homemakers. B.F. and Nancy are buried with Mamie at Cedar Grove Cemetery outside of Thorsby. Valula (Lula) Culpepper Whalen is also buried there. John, Frank, Eddie, and their spouses are buried at Liberty Hill Cemetery in Clanton. Ida Rose Culpepper Cotton, Charles Culpepper, Mattie Culpepper Cotton, and Bama Culpepper Gallman are buried with their spouse in Birmingham, Danville, Sylacauga and Tuscaloosa respectively. There were 37 grandchildren. We are still counting the three current generations. B.F Culpepper, Civil War veteran, is in my direct line. When I first started being genealogically curious, like most men, I was interested in finding an ancestor who was involved in the Civil War. To find Benjamin, I had to go back five generations: David Edwin Culpepper 1950-present/Frank E. Culpepper 1929-2005/Carl M. Culpepper 1888-1938/John Culpepper 1870-1910/Benjamin Franklin Culpepper 1845-1890. Benjamin was the sixth child of ten ( 6 boys and 4 girls)to Henry Culpepper 1811-1884 and Martha Temperance Wall 1811-1888 in Chattahoochee County, Georgia. That county was later divided, and the family became residents of Muscogee County, Georgia w/o moving. This family was closely associated with Columbus, Georgia from almost its earliest beginning as Henry's father Christopher Culpepper came to that county to farm in 1831. Columbus was created as the most western trading post of the thirteen colonies in 1828 and built on previous Creek Indian land. 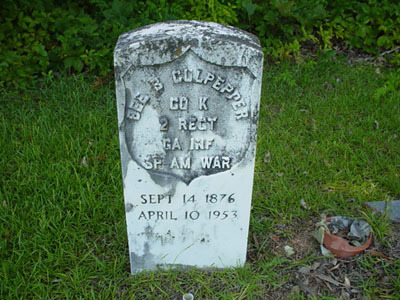 Christopher Culpepper's land is now part of the Army's Fort Benning reservation and contains the old Culpepper cemetery. This family was certainly vested in the Confederacy as Benjamin and three brothers served the CSA: William M. Culpepper Circa 1837-1910. CSA Co. C, 17th Ga Inf; Nathaniel Culpepper 1841-1862 CSA Co F, 39th Al Inf. (Nathaniel died of the mumps, while still in uniform in Mississippi) ; and John Calvin Culpepper 1843-unknown, CSA Co F 3rd GA Battalion and later transferred to Co B, 37th GA Inf. Benjamin joined Pemberton's Cavalry July 2, 1864 at the age of nineteen (the muster document says he was 17 and a half) in Columbus, Georgia. His description is 5'10 1/2" tall, dark complexion, blue eyes, and dark hair, occupation farmer. 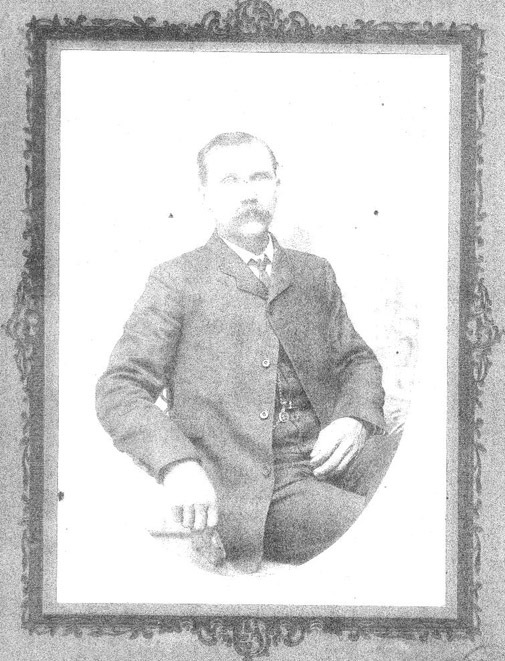 On the same day that Benjamin joined the CSA, his cousin on his father's side, Edmund Berry Culpepper, 1848-1905, also joined. Edmund was sixteen years old. The muster roster shows most of the men to be 16 or 17 years old or in their late 40's. Pemberton's Cavalry was described as "Local Defense Troops" in the Georgia Cavalry State Guard. It was made up of "exempts, details, older men, and disabled men." Its leader was Captain John Stith Pemberton, a local druggist, who is now famous for his invention of Coca Cola. Columbus was one of the biggest war industry support cities in the South with iron works, pistol, shoe, and uniform factories, etc; plus a ship yard. The new cavalry recruits were drilled by Capt. Pemberton at a field on 1801 Fiftieth Street, Columbus, Georgia. Pemberton's Cavalry may have been created in reaction to USA General Sherman's march to Atlanta, which began May 1864. Columbus was considered a prime target. Sherman actually left Atlanta and went to Savannah; thereby bypassing Columbus. Columbus was not actually attacked and burned, until the Battle of Columbus, April 16th, 1865, by federal forces crossing the Chattahoochee River Bridge from Alabama. Ironically, this was after Lee's surrender at Appomattox. Both USA and CSA forces at Columbus were unaware that the war was over. After the war, Benjamin married Nancy Howard in 1867, and they had ten children. Benjamin died September 19, 1890 in Chilton County, AL. A side note is that Benjamin's younger brother, Henry married Nancy's sister, Northann Howard. "Lineage Chart, Volume 3", Greenville Chapter SCGS, Chart 14 (Ancestors of Thurman Lloyd Gallman, Sr.). + Nancy Culpepper, 27 Aug 1845 - 19 Feb 1918. + Cora E. Culpepper, 1876 - 1953. + Anna F. Culpepper, 10 May 1875 - 17 Jun 1957. Charles Henry Culpepper, White, born 17 Apr 1880 in Chilton, Alabama, residing in Pittsylvania, Virginia, registered 27 Apr 1942. + Nancy Gertrude Culpepper, "Gertie" Callaway 94564571, Apr. 22, 1886 - Sep., 1981. Edicer Culpepper, Son, M, Sng, Wh, 1, AL/GA/GA. "Claudia and Henry Weldon", p. 351. David is a career educator (36 years) and retired from the USAFR (Lt Col) after 28 years. Married to Reba Lewis Culpepper, he has two children, Gwendolyn and Zachary. Henry Culpepper and Martha H. Howard on 4 Jan 1875 in Chattahoochee Co., GA.
David Culpepper, Son, Wh, M, Dec 1892, 7, sng, AL/GA/GA. David Culpepper, Son, M, Wh, 17, sng, AL/AL/AL, Weaver/Cotton Mill. ED 144, sheet 4, line 62, Pct. 4, Marvyn. Obituary* 8 Feb 1905� 7 Feb 1905: "E. B. Culpepper, aged 58 years, died at 1:30 o'clock yesterday afternoon at his home, No. 1420 Twelfth avenue, after a long illness. He is survived by his wife, six children and one grand child. He was of the Primitive Baptist faith. The funeral will take place this morning at nine o'clock and will be conducted by Elder W. M. Bullard. The interment will be at County Line church, in Muscogee count." Edmund B. Culpepper, Signed 4 Nov 1899, Land Office: Montgomery, W½SA Part of Sec 11 of Twp 6-N in Range 18-E, St. Stephens Meridian, 80 Acres, Crenshaw Co., AL. Culpepper Cemetery: E. B. Culpepper, 1847 - 6 Feb 1905. Obituary of Edmond Berry Culpepper (#1498), published Friday, 8 Feb 1905, p.5. Mrs. C. S. Kemp, born in Chattahoochee Co., GA, Female, White , Widow, resident of Statesboro, GA, died at age 76 on 31 Mar 1927, buried in Box Springs, GA on 2 Apr 1927. Ellie F. Culpepper, d. 2 Mar 1921 in Baldwin Co., GA.
Ellie F. Culpepper, Inmate, F, 57, Sng, GA/US/US.